Get Involved! Learn how to serve and help your community. Representatives from local non-profits and service clubs are looking for supporters and volunteers just like you. This is the chance for you to connect and share resources. Match yourself with causes you're passionate about! *We will be hosting a diaper drive for this event in collaboration with the Idaho Diaper Bank. Attendees are invited to participate by bringing new, clean, disposable or cloth diapers to donate towards the diaper drive. -We like to rotate in new organizations each year. 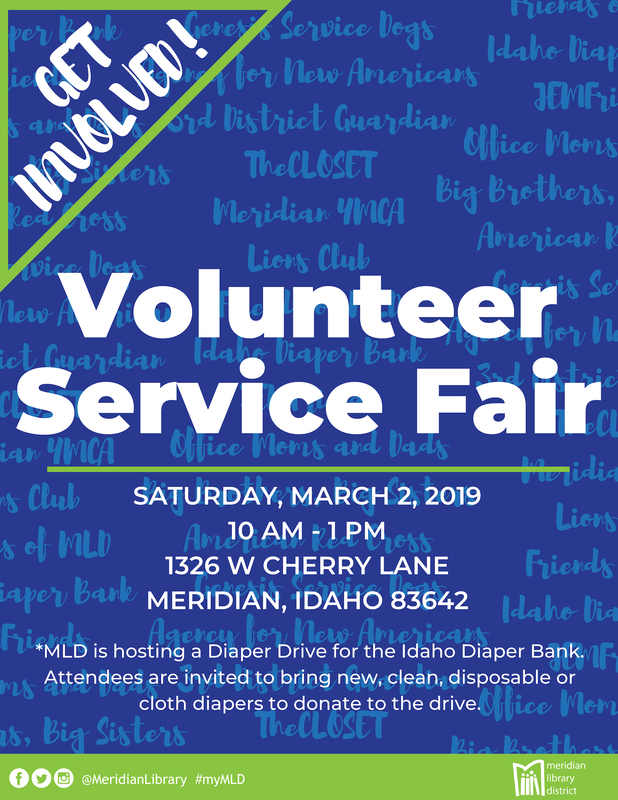 If you're organization is interested in visiting our service fair next year, contact volunteer@mld.org.